We used the lovely bank holiday weather to get out for a training run today. Our next challenge is to get up and down Pen-Y-Fan in less than an hour, so we decided to go for a trial run. Despite both if us feeling really groggy and having had a bad couple of weeks due to illness & being out of the country we managed a fairly successful run. 1.02 mins round trip wss something to be proud about! Thanks to Dad for the company & run4all for the cheering on our way back down! 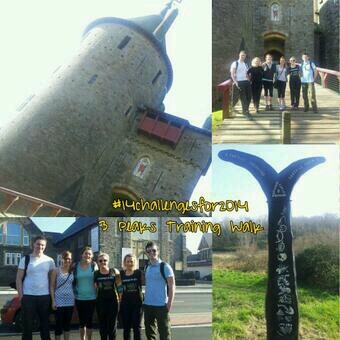 The official challenge is Sunday 4th May. We will be setting off from the base of Pen-Y-Fan at 9am (car park by Storey Arms on the A470) so get there a little earlier if you’d like to join us! Only one week to go until our second challenge! Well this is a bit scary. Only one week to go until (probably) our hardest challenge!Sophie and I are swimming 20 miles as part of our 14 Challenges for 2014 quest. There are so many difficult things about this challenge; anyone who knows us will agree that our strength is in our legs so swimming really has been a change of tack! 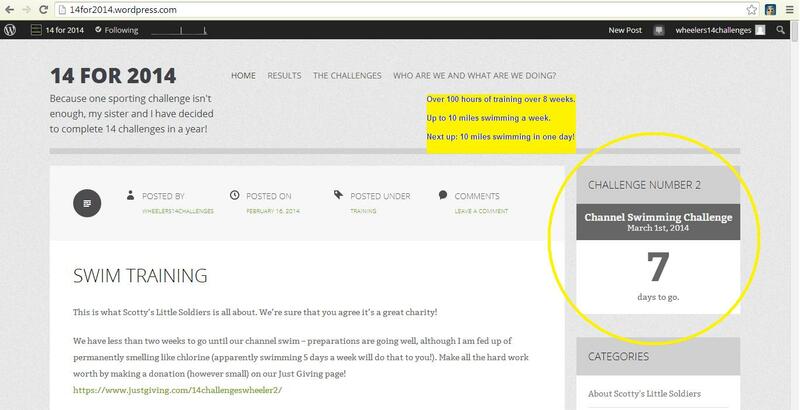 Secondly, the planning going into this one challenge has been immense: we have had to decide how we will actually swim 10 miles (we have been toying between 3 x 3 mile blocks with a one mile block at the end OR 6 x 100 lengths + 1 x 40 lengths); and how do we make sure we actually have enough food and water to last at least 5 hours swimming?! We have had some great advice along the way, although I have to admit that being told we can eat the equivalent of 3 Mars Bars an hour made my stomach flip! There are so many other questions too – how do we stop ourselves becoming too stiff between sets, how do we keep track of how many lengths we have done, will we be able to move the next day (on a side note, we are actually going paintballing the next day so I really hope the answer to that is yes!). On the day we will be starting at 8 am sharp, and going non stop between the two of us until we are finished – there may be some periods where we will swim at the same time as the pool shuts at 6pm so we do have an ultimate deadline! We’re desperate for support, smiling faces will keep us going towards the end, and donations will obviously spur us on, knowing what a good cause we are raising money for! 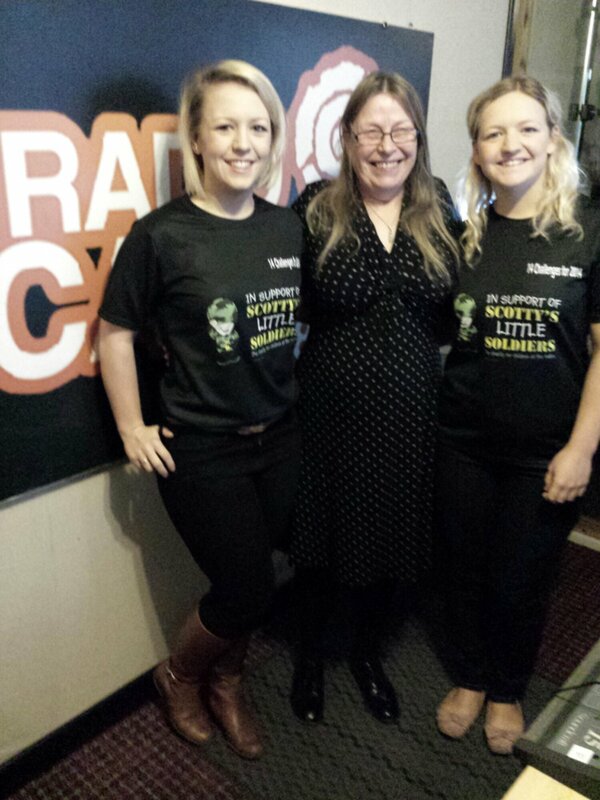 We’d really appreciate your donations – just go to http://www.justgiving.com/14challengeswheeler2/ to donate online. Thanks to everyone who has already supported us – we are at 8% of our target! 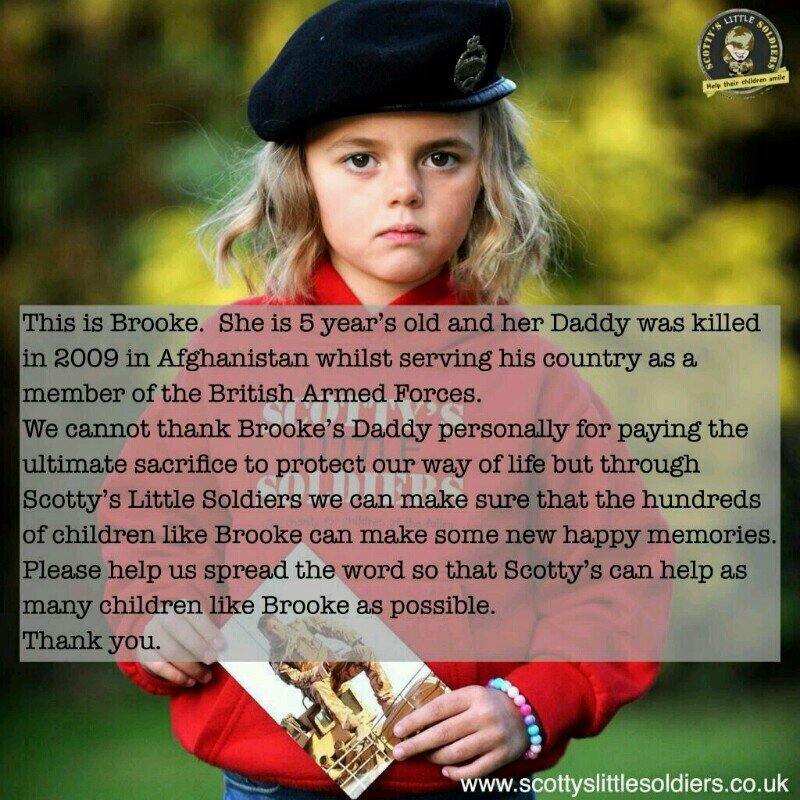 This is what Scotty’s Little Soldiers is all about. 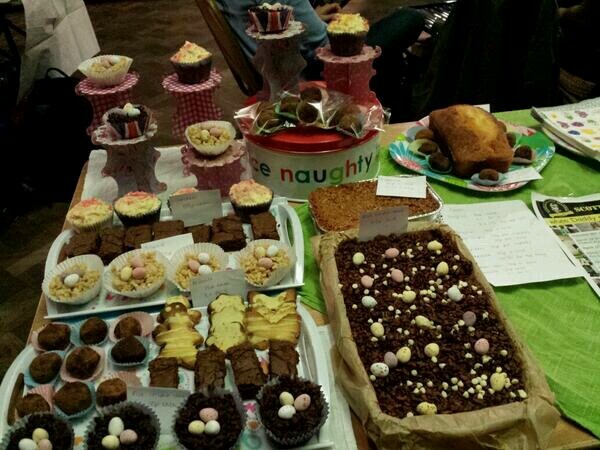 We’re sure that you agree it’s a great charity! Don’t forget, if you are in Cardiff, please pop in to give us some support on the day!! So it’s holiday time for the Wheelers. We are currently on holiday in Abu Dhabi, staying with our uncle on Saadiyat Island. Fear not though, as training is still on! 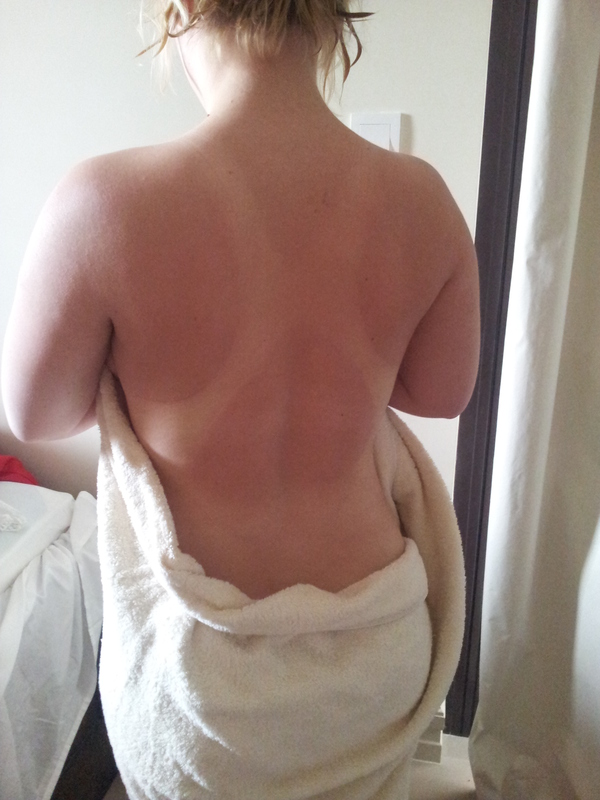 We have been working hard in the gym and enjoying swimming in the outdoor pool – the only problem is the tan lines! 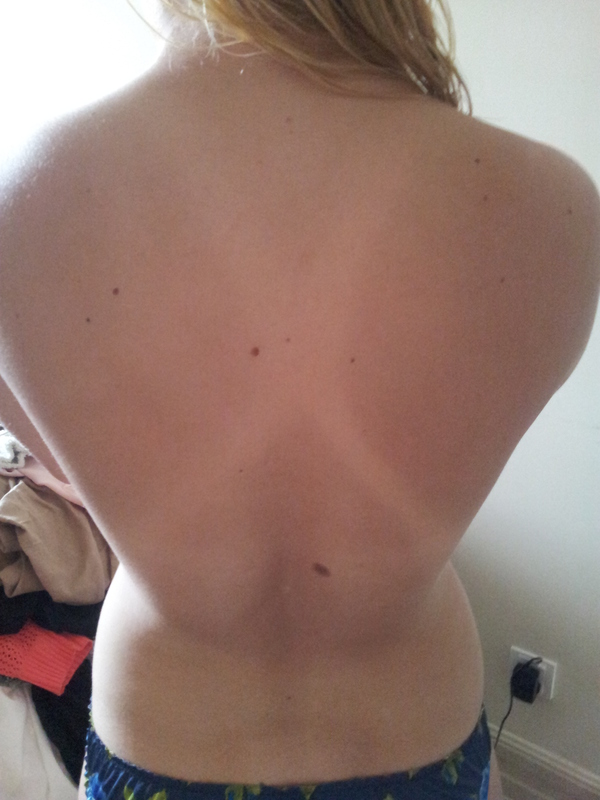 Gemma’s tan lines after six days and 3 swims whilst on holiday in Abu Dhabi! So today I decided to go somewhere different for a run. And it was a bit of a (nice) mare. Let me start by explaining that I originally woke up to hailstones, so I dropped back off, and by the time I woke up it was glorious sunshine. Brilliant, I thought – I will go out for a nice long run somewhere new. I spent a bit of time looking up nice walks and runs around Cardiff and decided upon Parc Cefn Onn. By the time I had decided it was hailing again. And so it went on all day. I was sat ready, in my sports kit, until half 3 when it finally looked completely clear (rain I don’t mind…hail, on the other hand, not so much). firstly, it rained from the moment I got out the car. The park is mostly protected by trees so not such a problem. I got lost, took a wrong turning and ended up in the golf course car park. I swiftly turned back around. It hailed, numerous times, resulting in me hiding in the bushed to protect myself. I learned that running down hill is almost as time consuming as running uphill for fear of tripping! 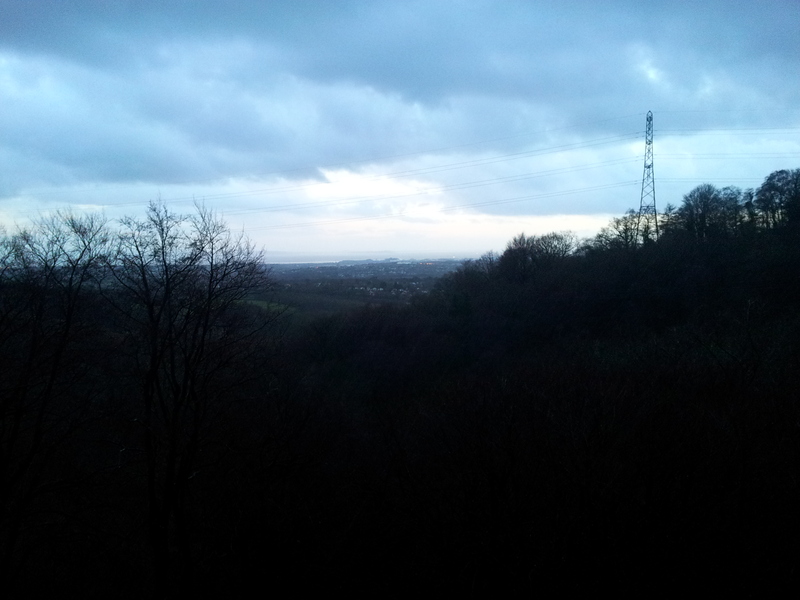 I eventually worked myself up to the top of a ridge, took a couple of pictures which really didn’t do the view justice. 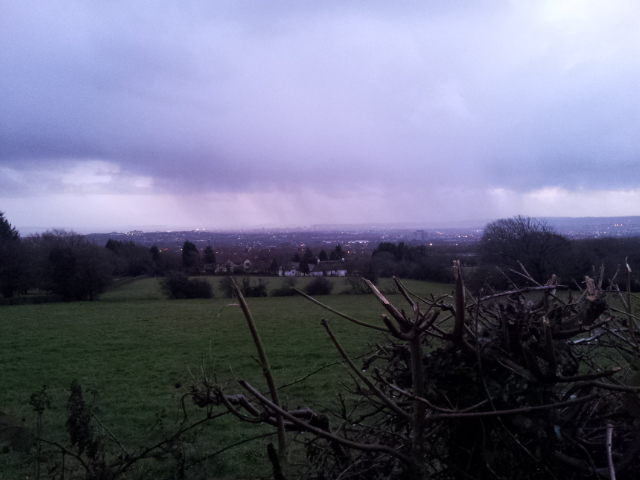 I could see all the way down to the Bristol channel (as promised) and could see streaks in the distance where it was raining (yes, it did temporarily stop where I was!). This was far enough for me as I figured I should run back before it got too dark. I ran through a stream, took another wrong turning, and ended up tracing the outer fence of the golf course, which appeared to have once been a footpath, but some of the signs had been removed. I rand ankle deep in water and mud, stacked it going round a corner, splattering my hand in the mud in the meantime before eventually hitting a road. This road proved the ultimate dilemma. My phone’s GPS said there were no roads, and either way I could see only a couple of houses. I aimed for the way I thought the entrance to the golf club would be (as least on the road I figured it would lead either to the dead end of a house/golf club or to a main road). I hit the M4, turned a couple of corners and found myself, 4 miles, and the best part of hour later, back at the car. I am definitely going to go back as the park was stunning, and felt like it should have been somewhere exotic (if only it hadn’t been raining). 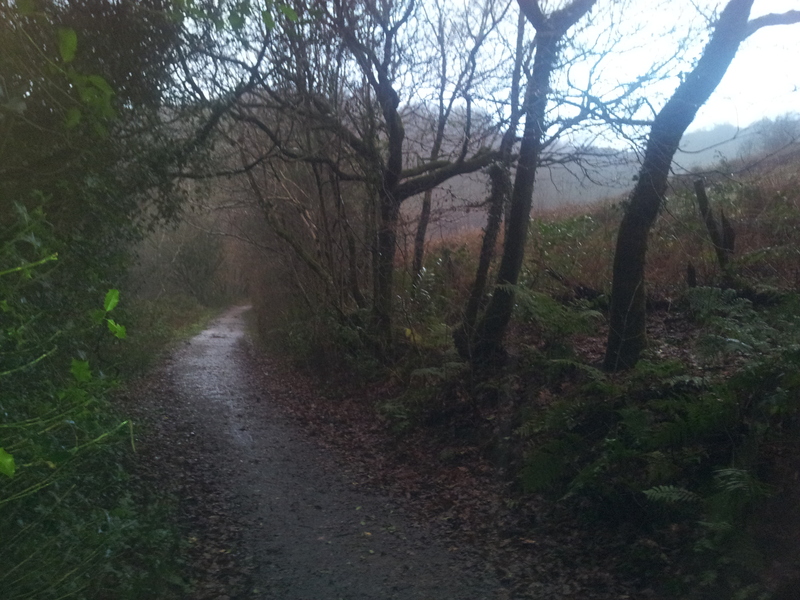 Next time, I think I shall keep to the proper footpath and wait until it stops raining. 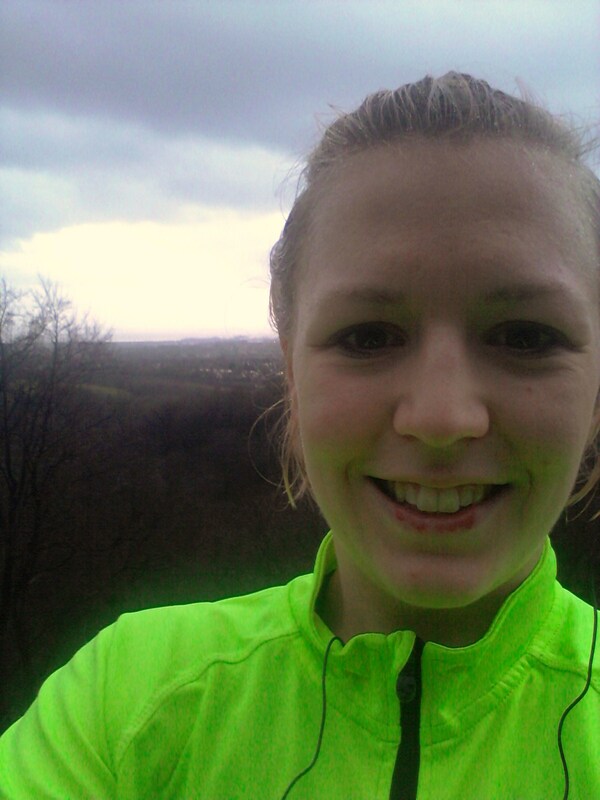 Caught in a hailstone storm mid run!